Is Toll Brothers Inc (TOL) a Good Stock to Invest in? Earlier this year, many hedge funds were holding a larger percentage of their assets in cash than at any other time in recent memory, as fears that the market was due for a correction abounded. This led to many small-cap stocks being hit hard, as hedge funds, which tend to be some of their staunchest backers, liquidated their holdings. Now however, hedge funds appear to be growing more confident and putting their money back into equities, which has led to small-cap stocks taking off, with the Russell 2000 ETF (IWM) having outperformed the S&P 500 ETF (SPY) by more than 10 percentage points since the end of June. In this article, we’ll see how this large shift in hedge fund activity impacted Toll Brothers Inc (NYSE:TOL). At the end of September, 29 funds from our database held shares of Toll Brothers, up by one over the quarter. The level and the change in hedge fund popularity aren’t the only variables you need to analyze to decipher hedge funds’ perspectives. A stock may witness a boost in popularity but it may still be less popular than similarly priced stocks. That’s why at the end of this article we will examine companies such as Tesoro Logistics LP (NYSE:TLLP), CubeSmart (NYSE:CUBE), and International Game Technology (NYSE:IGT) to gather more data points. With all of this in mind, we’re going to take a glance at the fresh action regarding Toll Brothers Inc (NYSE:TOL). 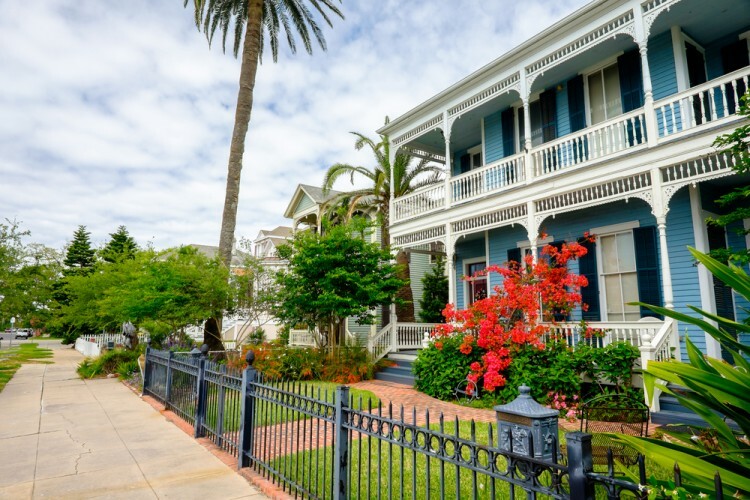 What have hedge funds been doing with Toll Brothers Inc (NYSE:TOL)? As stated earlier, a total of 29 of the hedge funds tracked by Insider Monkey held long positions in Toll Brothers at the end of September, up by 4% over the quarter. 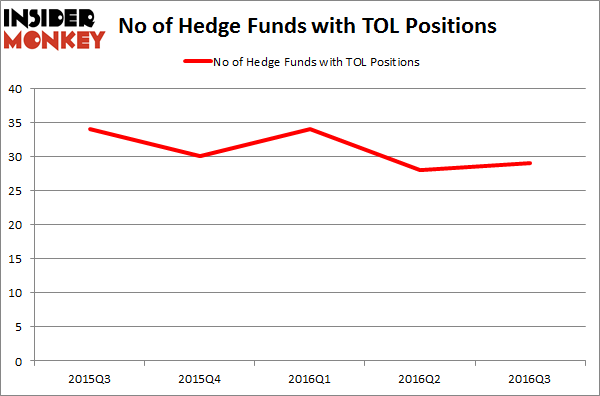 On the other hand, there were a total of 30 hedge funds with a bullish position in TOL at the beginning of this year. With hedge funds’ sentiment swirling, there exists a select group of notable hedge fund managers who were upping their stakes substantially (or already accumulated large positions). When looking at the institutional investors followed by Insider Monkey, Edgar Wachenheim’s Greenhaven Associates has the most valuable position in Toll Brothers Inc (NYSE:TOL), worth close to $100.1 million, corresponding to 1.9% of its total 13F portfolio. The second largest stake is held by Jabre Capital Partners, led by Philippe Jabre, which disclosed a $26.9 million call position; 3.7% of its 13F portfolio is allocated to the company. Remaining professional money managers that are bullish encompass Ken Griffin’s Citadel Investment Group, Ken Fisher’s Fisher Asset Management, and Morris Mark’s Mark Asset Management. We should note that none of these hedge funds are among our list of the 100 best performing hedge funds which is based on the performance of their 13F long positions in non-microcap stocks. Hedge Funds Don’t Think Very Highly of Annaly Capital Management, Inc... Should You Avoid Nationstar Mortgage Holdings Inc (NSM)? Is Liberty Sirius XM Group (LSXMK) A Good Stock To Buy? Hedge Funds Are Still Buying Novanta Inc (USA) (NOVT) Is Northstar Realty Europe Corp (NRE) Going to Burn These Hedge Funds? Is Nordic American Tanker Ltd (NAT) A Good Stock to Buy?